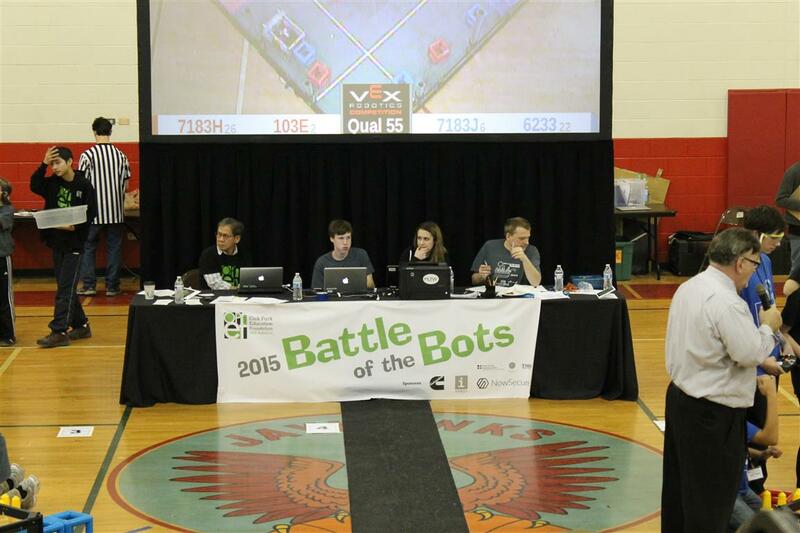 According to the OPEF website, “The VEX Robotics Competition, managed by the Robotics Education and Competition Foundation (REC), is the largest and fastest growing middle school and high school robotics program in the world, with more than 9,900 teams from 32 countries playing in over 600 tournaments worldwide.” The Oak Park Educational Foundation sponsors an annual competition, and this year it was at Percy Julian Middle School in Oak Park. 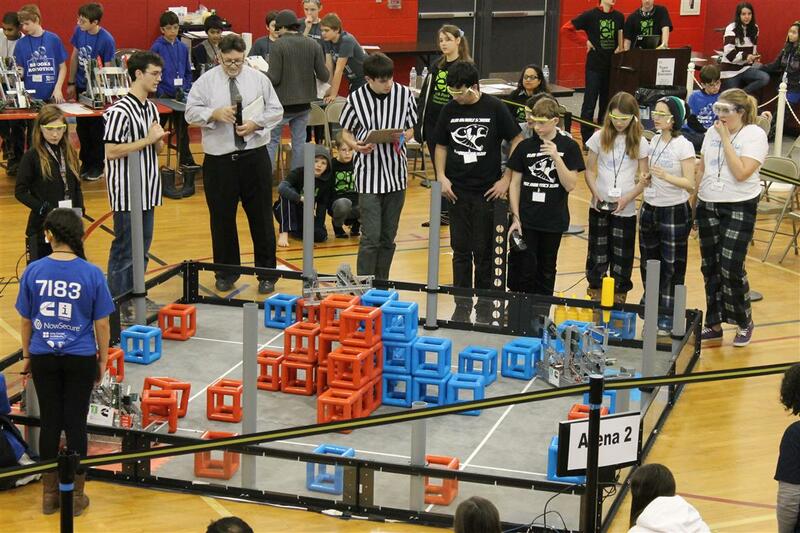 Aria Group’s involvement with VEX Robotics in Oak Park is a natural extension of its other activities with the OPEF, such as Architecture Adventure. Aria Group staff have volunteered to visit classrooms and talk about what architects do, as well as help out with the 2014 “Dancing Houses” project. Principals at Aria Group feel it is important to participate in the education of young people in the community, as they will be the science and technology professionals of the future. At the February 7 VEX Robotics Competition, students learned valuable engineering, science and technology competencies, as well as life skills such as teamwork, communication, project management and collaboration. But more importantly, they are discovering a passion for learning and building that will hopefully last a lifetime!